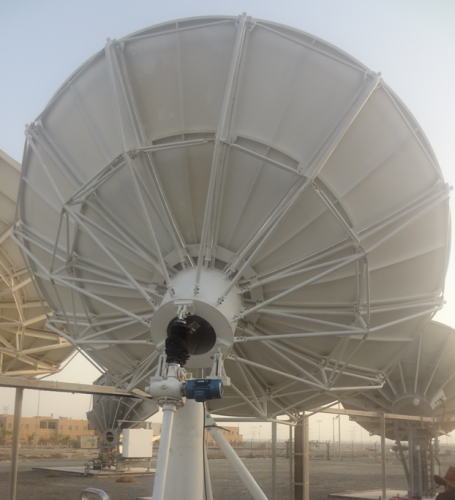 Alignsat 4.5 Meter Ring focus DBS band antenna providing Tx/Rx 2-port feed or Tx/Rx 4-port in linear/circular polarization, it can deliver exceptionally high performance for transmit/receive applications. 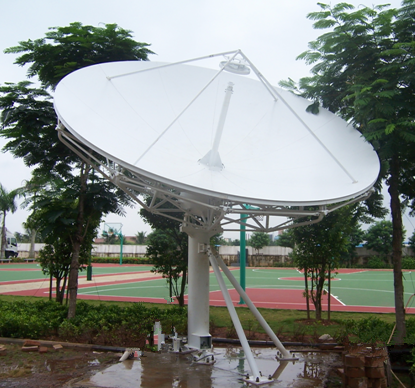 Alignsat 4.5 M antenna reflector incorporates stretch-formed doubly contoured panels with matched radials and hub for ease of field alignment. The standard designed azimuth over elevation pedestal provides a cost-effective solution for high stiffness and stability, full orbital arc coverage and fine drive performance, and ensures the pointing accuracy. It is widely and ideally used for Broadcasters, Service Providers, GSM operator, Satellite operator, Military and Government Agencies, Free Lands or Rescue Organizations.